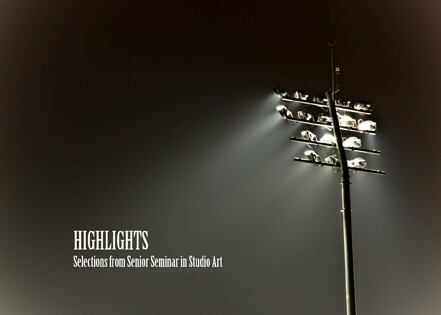 This exhibition showcases work from students in the Senior Seminar in Studio Art course. Students in this course are in the process of completing their studio-art thesis projects, which will be exhibited in the spring as solo and two-person shows in the Ildiko Butler and Lipani Galleries. With works including photography, painting, cut paper, film/video, animation, graphic novel, architecture, graphic design, and fashion design, Highlights represents the diversity of interests and approaches supported by the Visual Arts Department at Fordham and gives viewers a “sneak peak” at the exhibition lineup for the spring semester.